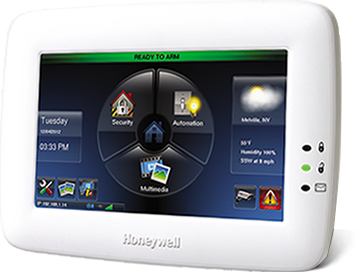 Honeywell’s LYNX Touch is a dynamic, lifestyle-enhancing system that protects your property and possessions and lets you control your security system and Z-Wave® enabled thermostats, lighting, door locks and more—all from one brilliant, full-color touchscreen! 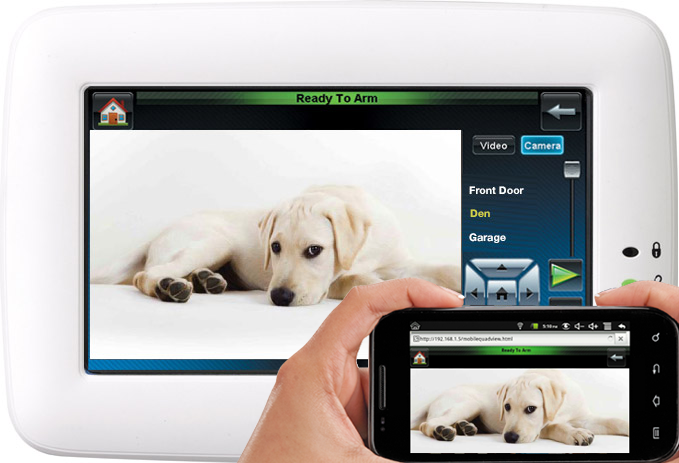 Control your security system and home functions from anywhere – camera views, door locks, heating and cooling, shades, and lighting from the crystal clear 7” touchscreen. Tuxedo Touch is the top of Honeywell’s line and does it all; truly enhancing your lifestyle and letting you make the most of your home! Want to see when your kids get home from school, keep an eye on your pets, or make sure an important delivery arrives? 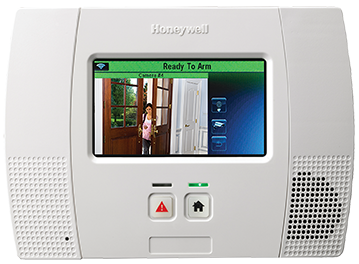 With Honeywell’s digital video security, you can view live, real time streaming video of your home on up to six cameras at a time. 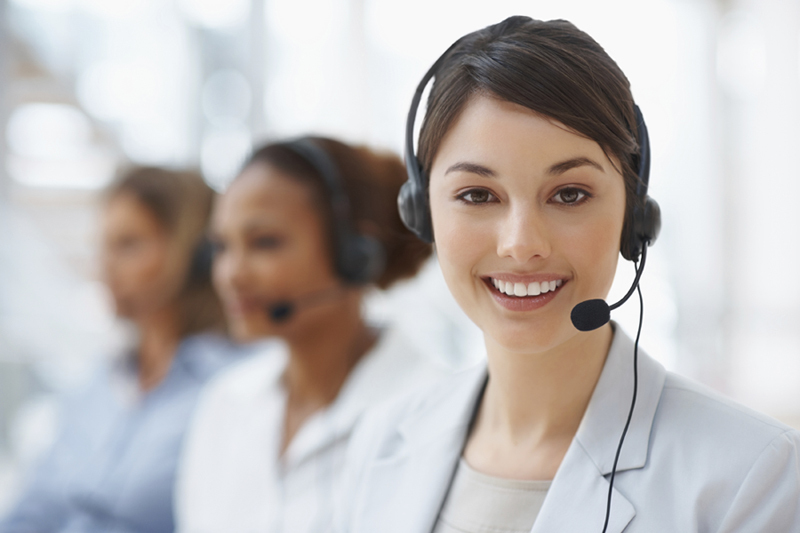 You can also receive alerts, video clips, and images of important events when they occur, so you’re never in the dark about what’s happening at your home. Need to get inside from the weather quickly without fumbling for keys? Loaded up with grocery bags? Our wireless remotes offer the features of traditional keypads with convenient fingertip control just like your cars remote. 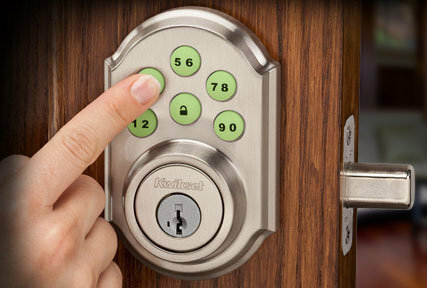 The press of a single button lets you operate your security system, lights, garage doors and more. Honeywell’s stylish Custom Alpha and Fixed-Language Security Keypads let you control your security system with push-button ease, match every décor and are available in a variety of options to suit your lifestyle, needs, and budget. Security has never been so simple—or so stylish! Ideal for kitchens, bathrooms, laundry rooms and basements, these detectors can notify you of flooding, leaks and extreme temperatures—helping to minimize the risk of dangerous conditions and damages to your home and valuables. 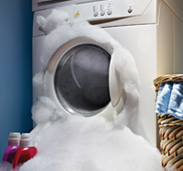 Large amounts of water and especially frozen pipes can destroy your home. 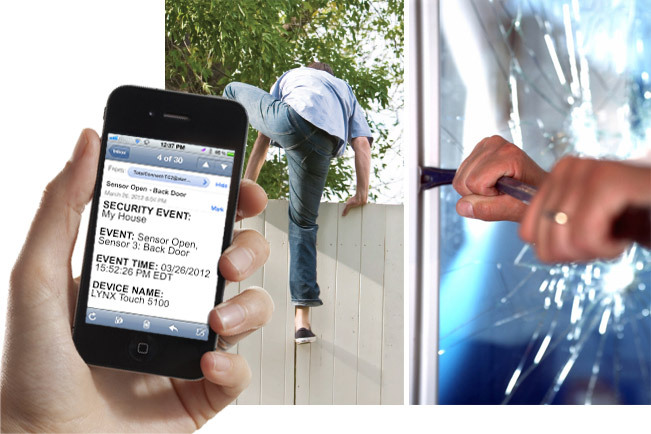 Now you can be notified immediately and even prevent dangerous frozen pipes with automatic or remote temperature control. 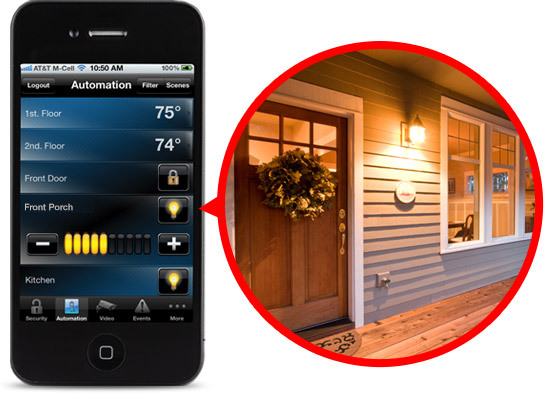 Instantly turn on indoor and outdoor lights from your tablet, office computer, or smartphone to arrive to a well-lit home. You can program your lights to strobe on and off during an alarm to enhance security and even create on and off schedules to simulate a lived-in look when you’re away.